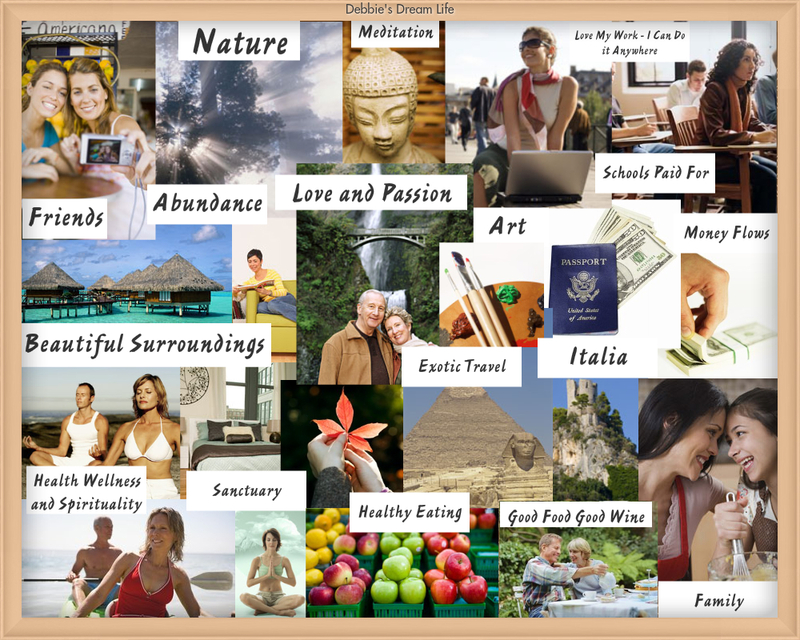 Vision boards are a fun and creative way to express your dreams and goals. It’s a road map to your best life that can have you on the path to incredible success in no time! Sometimes goal-setting seems, well, boring! It’s a great way to accomplish wonderful things in your life, but many people put this activity off if it doesn’t feel exciting or if they don’t know exactly what it is they want. If you are a visual person, or you find yourself inspired by pictures or sayings, you’ll want to create a vision board instead as a tool for living your best life. To start, ask yourself: What do you want to be, to do, and to have in life? Write it down. Start with five answers for each of the three categories of being, doing, and having. Then, look through old magazines or through the internet for pictures, quotes, phrases, or words that convey your hopes and dreams. Use a bulletin board, a piece of cardboard, or even a document on your computer screen to collect and paste your ideas on. I have several vision boards. On our cable tv show Living Well, we talked about vision boards and setting goals in your life that are congruent with your center and with your values. If you place a mansion on your vision board, but you really crave a cozy cabin on a lake; that will create a sense of dichotomy in your life. It’s like going to a diner and placing an order for the cook’s special, but then changing your mind and just having a cup of coffee. Which is it? Imagine the confusion the waitress has when you order–the special or coffee? Should you have both? There is no right or wrong, but which feels good in your heart? In order to succeed in life, you must have goals that resonate with you–not what you think others want for you. Your subconscious will sabotage you over and over again until you become clear about who you are and what you truly value in life. You must also be focused on your goals, which means to know what you want and to take action toward obtaining it. Action is key. The vision board exercise is not meant to be “set in stone.” You can change it any time you like. Preferences change as you change and grow. Even though I took this photo recently, it has already changed! I have several successful women on my board, but I do not want to be exactly like them. I think Oprah, for example, is fantastic as a role model for getting her message out clearly in a warm, compassionate, well-spoken, and confident manner. She’s not married however, and she does not have kids. I think Alexandra Stoddard is a lovely human being with a focus on family and marriage first, and she has a love of beauty and inspiration. Kelly Ripa embodies work-life balance for me, and she is really, really funny! Martha Stewart is successful in business and determined to create a well-lived life in spite of her many challenges. Louise Hay has such a warm and positive personality. From my knowledge in psychology, I know that since I am drawn to these qualities, I possess them myself. The vision board is a reminder that you can have it all, you just have to know what it is you want in life, and take action. I did this exercise at a divorce support group’s annual retreat and it was their favorite activity of the day! Since there is no right or wrong, you can have fun with it! Look through inspiring magazines and websites and allow your heart to speak to you! What lights you up? You can even involve your kids in this–make it an annual event! It’s a new way to do New Year’s Resolutions or as an activity to start the summer vacation with. Even younger kids love to cut and paste. My youngest daughter one year made a vision board of mostly butterflies, kittens, puppies, and flowers–How awesome is that? Needless to say, she did not become these things (and we did not become the local animal shelter! ), but she did have fun being creative with her mom! If you don’t consider yourself creative, guess what?! This is the perfect creative outlet for you! Have fun with the activity and drop the idea of perfection. If you’ve never made one before, try it. You deserve to live a great life and one of the ways you can begin the journey is to have a road map! And, this road map can be your vision board! 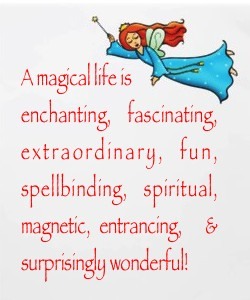 As a life coach I want you to know that there are many tools available to you that will help you to live a magical life. How long have you been waiting to live an awesome life? How would your life be different if you hired a coach to take you to the next level? If you’re ready to live your dream, to live passionately from your heart-center, if you’re ready to spring out of bed in the morning and become an inspiration to those around you, contact me for more information about how life coaching can change your life.